Come experience the beauty and power of the amazing mineral kingdom! 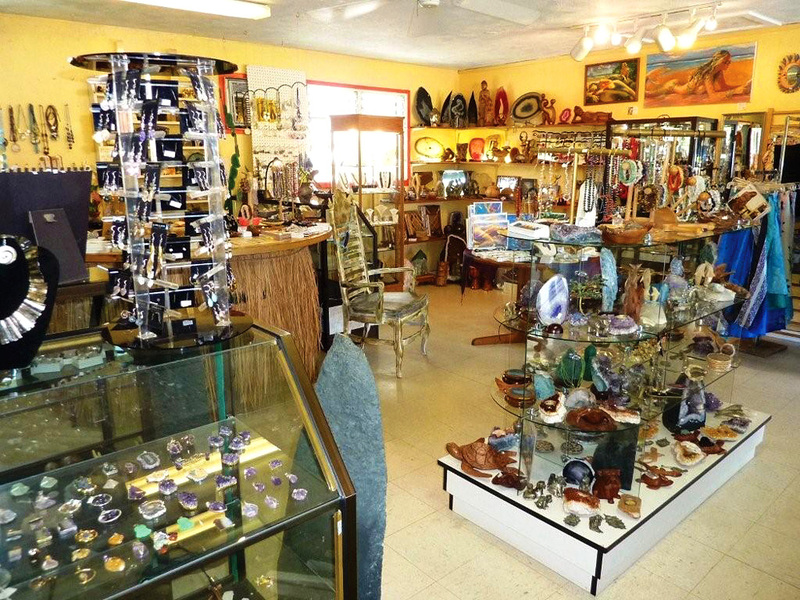 Crystals–Gems Gallery has it all… from affordable, tumble sized crystals to crystal caves up to six feet tall, art, sarongs, beads, island gifts and more. Owner and designer Tanize W Kotsol travels around the world selecting high quality, one-of-a-kind minerals for her store. Back on Kaua‘i, she uses their amazing and stunning inspirational energy to create unique and exotic adorable jewelry pieces. Combined with silver, gold, pearls and shells, all pieces are created with prayers of love, peace and serenity. Customers from all over the world call Crystals–Gems Gallery to order more because the crystals make them feel so good!